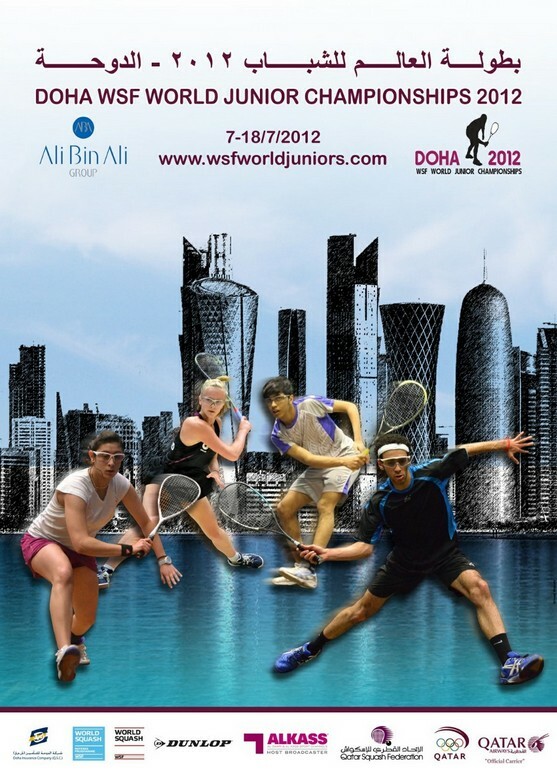 Qatar is set to host an historic World Squash Federation event this month when the Doha WSF World Junior Squash Championships take place at the Khalifa International Tennis & Squash Complex in the country’s capital Dohafrom 7-18 July. 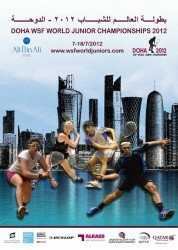 Players from 29 countries will initially do battle in the men’s and women’s individual championships (from 7-12 July), which will be followed by the biennial Men’s World Junior Team Championship. The individual titles are expected to remain in Egyptian hands – with Marwan El Shorbagy seeded to retain the men’s title and secure the same extraordinary ‘double’ that his brother managed for a record fourth time for the El Shorbagy family name. It was in India that Marwan’s older brother Mohamed El Shorbagy clinched the crown for the second year in a row in 2009 – becoming only the second player in the event’s history to win the title twice. England’s reigning world number one James Willstrop was the last non-Egyptian to win men’s world junior title – ten years ago, in 2002! Since then, Ramy Ashour (2004 & 2006), Mohamed El Shorbagy (2008 & 2009), Amr Khaled Khalifa (2010) and defending champion Marwan El Shorbagy have kept it firmly in Egyptian hands. El Shorbagy junior is expected to face Pakistan’s 3/4 seed Danish Atlas Khan in the semi-finals before the predicted all-Egyptian climax against Mohamed Abouelghar, the No2 seed. Former champion Nour El Sherbini is the hot favourite to reclaim the women’s title. The 16-year-old from Alexandria became the sport’s youngest ever world champion when she won this U19 title in 2009, aged just 13! With a career-threatening knee injury now well behind her, El Sherbini marked her formidable promise on the world stage again only two months ago in London where she became the youngest player ever to reach the final of the prestigious British Open. Runner-up last year, El Sherbini will be aiming to reach a record-equalling third world junior final in Doha this year – and then, with further possible appearances in the next two years’ championships, has the potential to rack up a total of four titles! El Sherbini, now ranked seven in the world, is expected to line up against England’s European Junior champion Emily Whitlock, the No2 seed, in the final.